Stacy Tilton Reviews: Ahh-Choo - Pass me a Kleenex please! Ahh-Choo - Pass me a Kleenex please! Have you ever stopped to think what you're really hoping for when you use the term "pass me a tissue"? Really we are hoping the person we are asking will be passing us a Kleenex. Not some off brand generic facial tissue that you'll blow right through. And to me that's why it's important especially when it comes to back to school supply shopping to purchase the best - Kleenex. I know I don't want my daughter falling victim to tissue blow outs in class. Plus right now they have lots of super cool packaging just in time for stocking up for the classroom too. 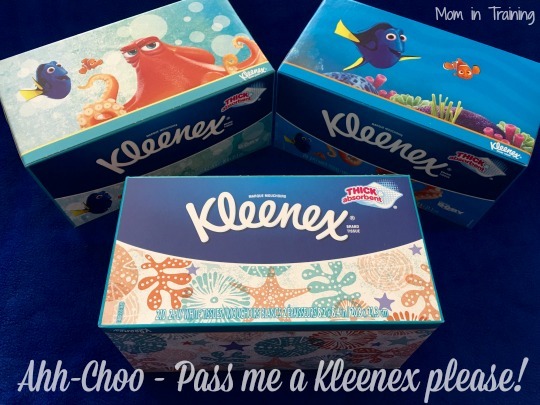 Make sure before you go shopping you check out the money saving offers on the Kleenex website!